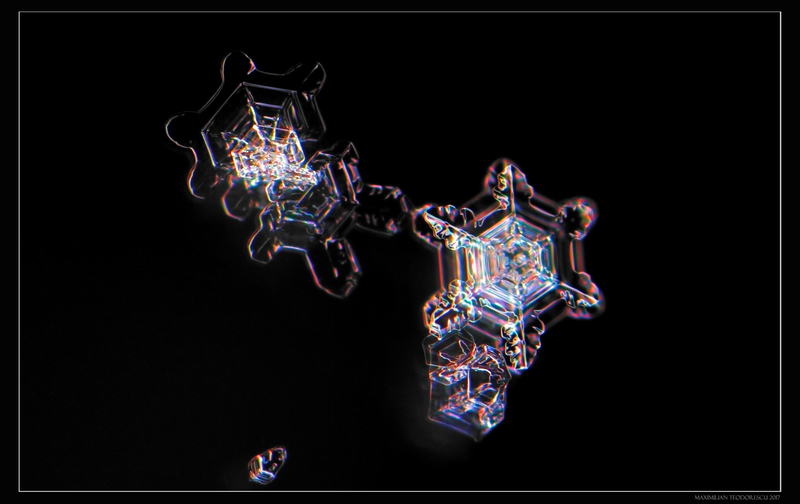 It’s the perfect time to take a few shots of…snowflakes. 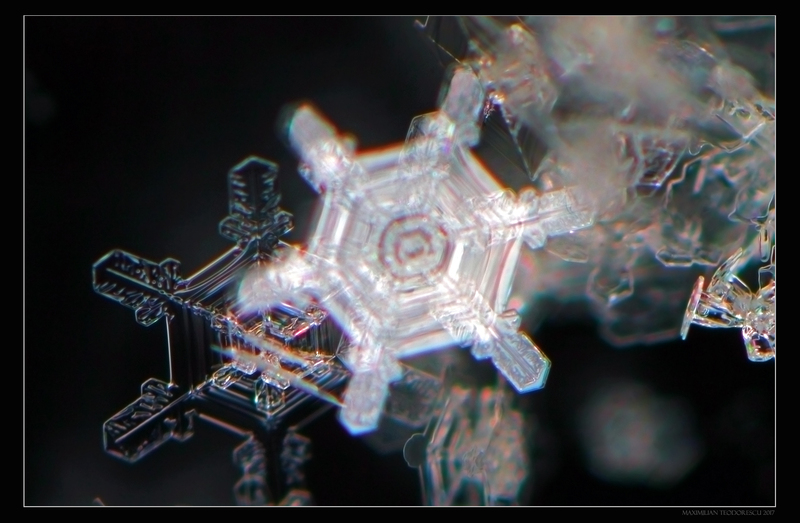 These images were all taken from my balcony, on a microscope slide that I’ve placed outside my window for a few minutes at -10 degrees Celsius. 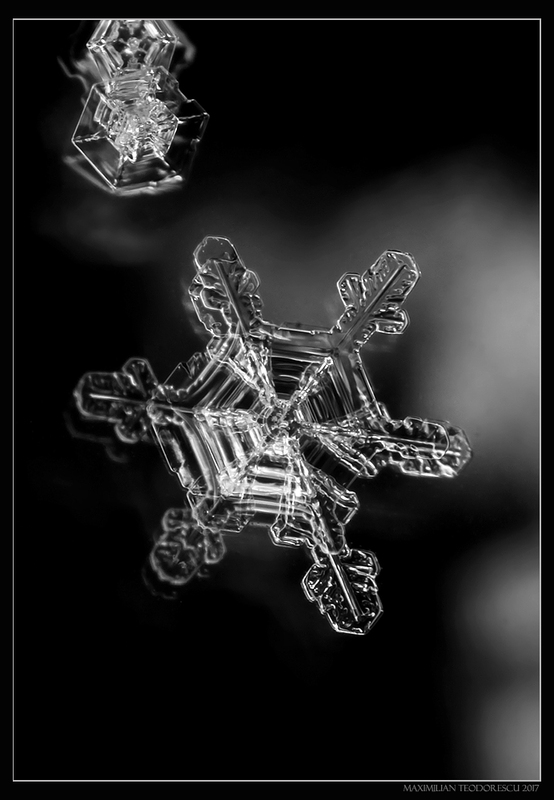 Equipment: Canon 550D with a SMC Pentax M 1:2.8 28mm inverted lens, 60mm extension tubes and Nissin MF18 Macro ring flash. 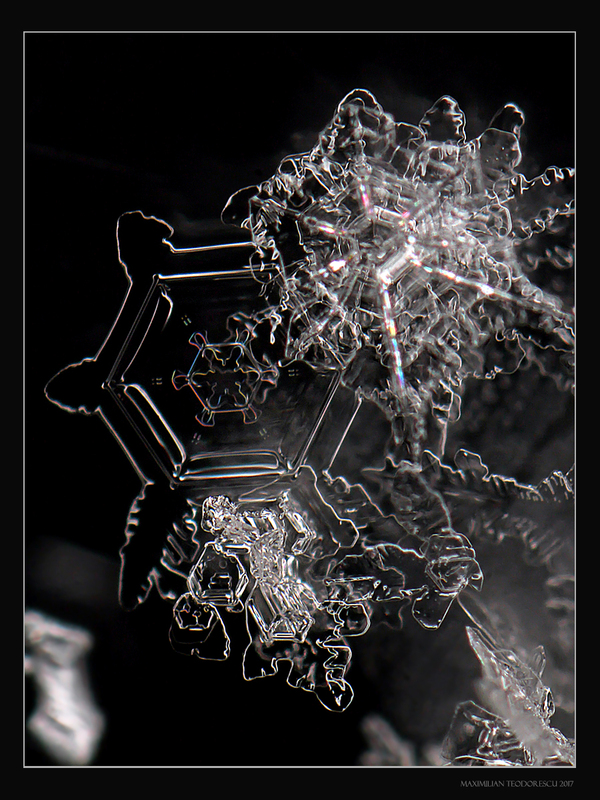 Note the lovely rainbow colors at the edges and small features of the flakes. 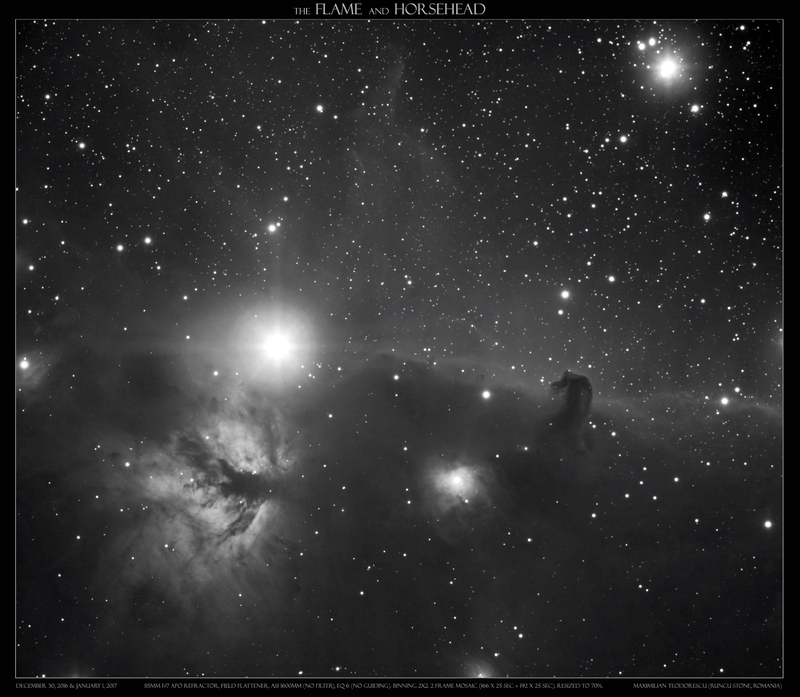 And a smaller version, this time together with the Flame Nebula. 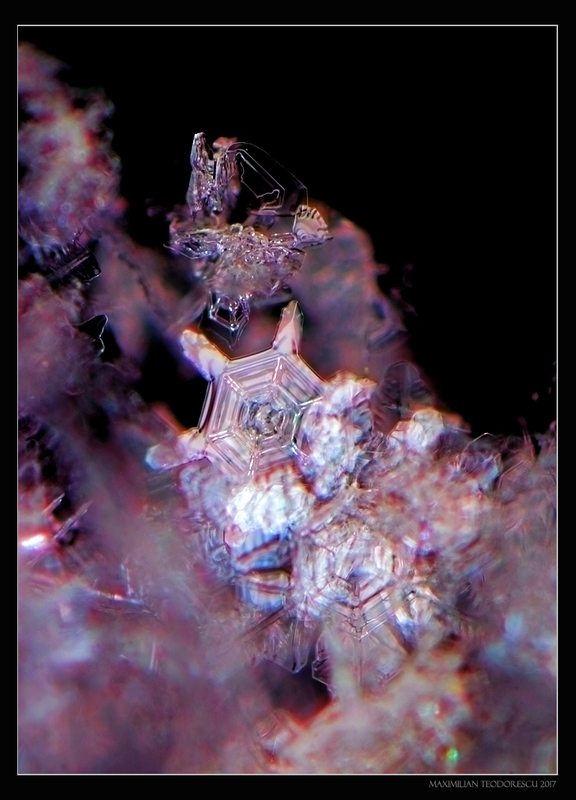 This is a two-frame mosaic, resized to 70%. NGC 891 is an interesting edge-on galaxy found in the constellation of Andromeda. It is “only” 30-million light years away. 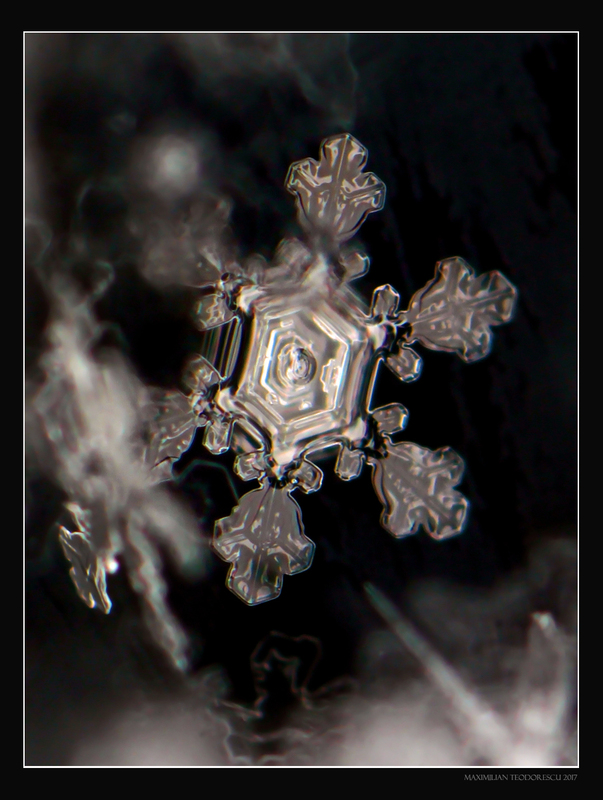 Not a difficult object to observe at the eyepiece, even in small instruments. 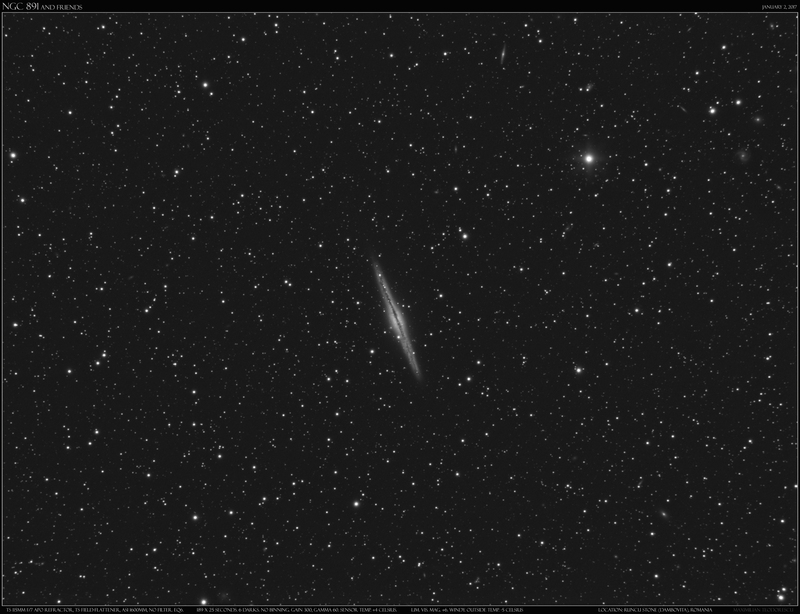 I’ve observed the galaxy at 40x magnification before starting the image acquisition, and the highly elongated shape is easily visible. Unfortunately, no dark lane observable through the 4.5 inch refractor, but I know that the dust lane is reserved to telescopes of at least 8 inches in diameter. 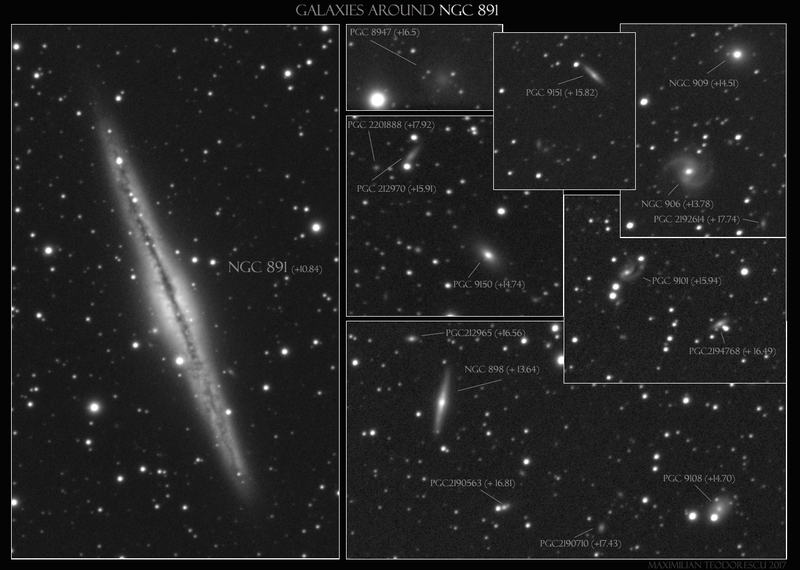 The interesting fact about the following image is that not only NGC891 is well visible, but many more faint galaxies are imaged all around the frame. Some go as faint as magnitude +18, some perhaps fainter. 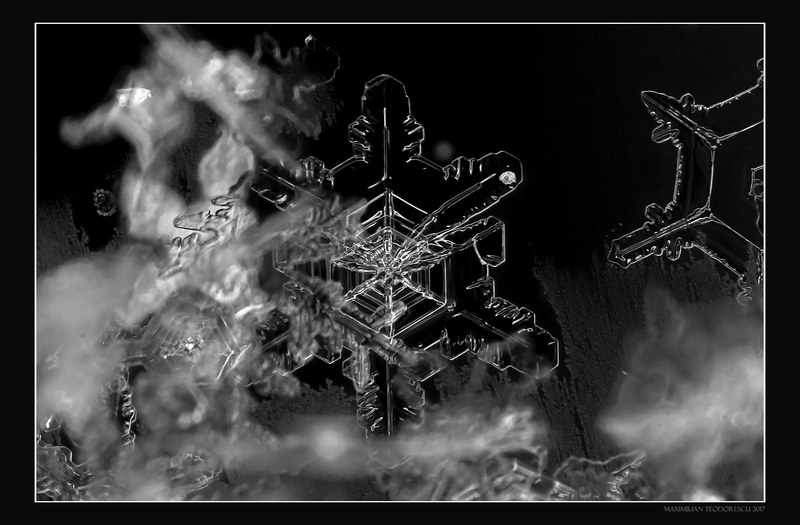 So, the image (quite large). 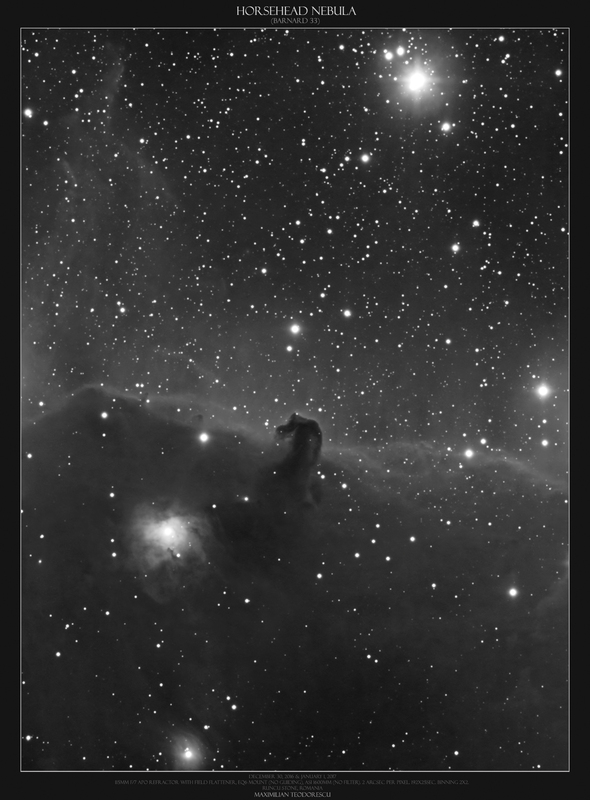 Note that the stars towards the corners of the image are quite elongated, due to a incorrect distance of the imaging camera from the field flattener (I shall correct that!). 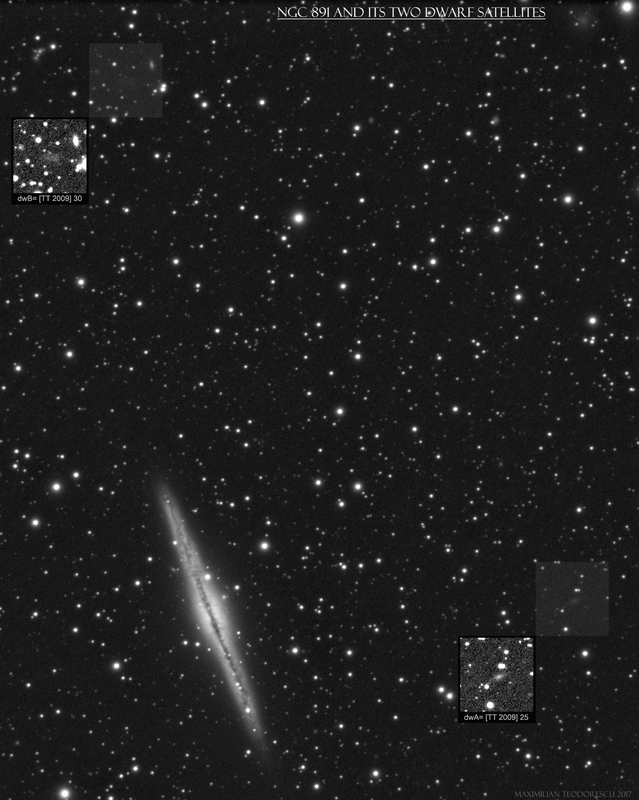 Spending a bit more time with the above image, I’ve determined the limiting stellar magnitude in the image (+20.5), and also found out that I’ve captured the light of the two dwarf satellites of NGC 891, one of which (dwB) has a very low surface brightness and a magnitude (R) of +17.98! 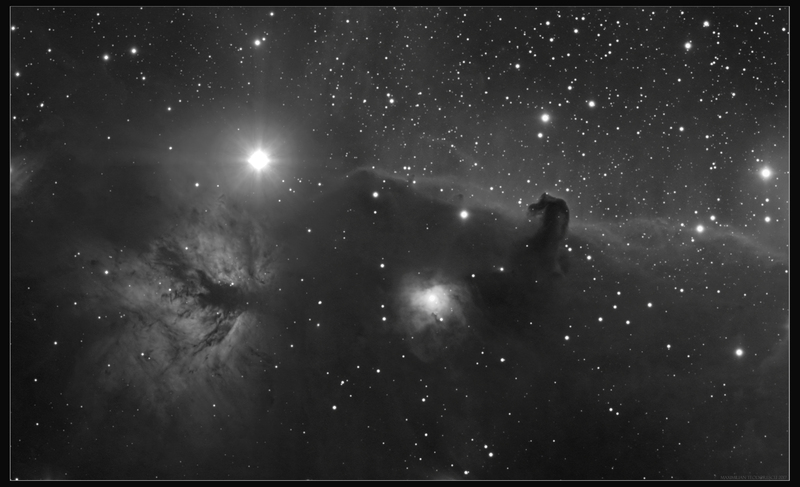 This is good news for me, imaging such a dim object with a rather small refractor and camera setup. 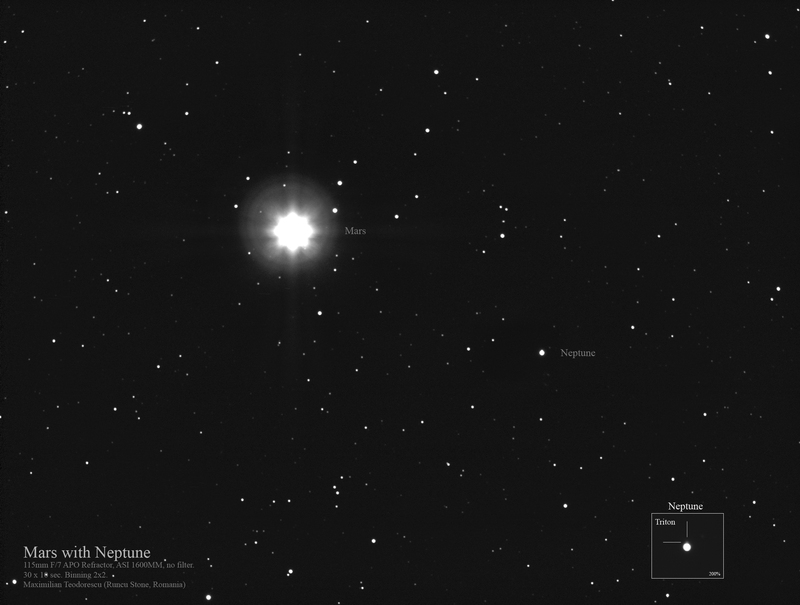 More about the two dwarf satellites can be found HERE. A first post on this blog for 2017: a long 2-hour exposure acquired by my wife during one of our trips to Runcu Stone (Dambovita County), on the first of January 2017. 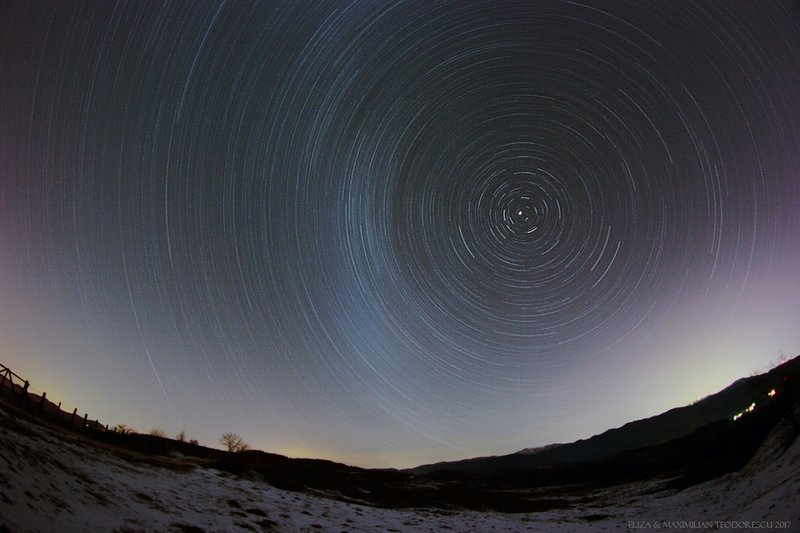 She used a Canon 550D at ISO 3200 and 1 minute long subs, with a Samyang 8mm fisheye lens, all on a small tripod. I’ve only did the processing. The intense light pollution at lower right comes from the city of Sinaia. 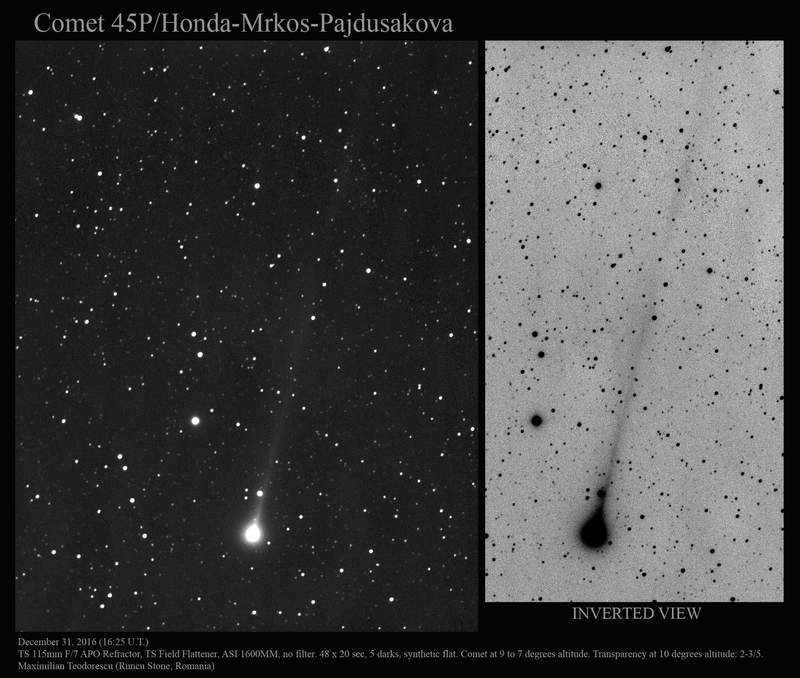 My last astro-shots for 2016: the close conjunction of Mars and Neptune and one final shot of comet 45P/Honda-Mrkos-Pajdusakova, both acquired under superb conditions at Runcu Stone, Dambovita county. Next, comet 45P imaged at an altitude of 9 to 7 degrees. Very low above the horizon but the great conditions allowed for detecting its splitting tail and a disconnecting event. The comet was well visible in 15×80 binos and a 9×50 finder. Also, a test image of M31 with the TS 65Q APO Refractor. 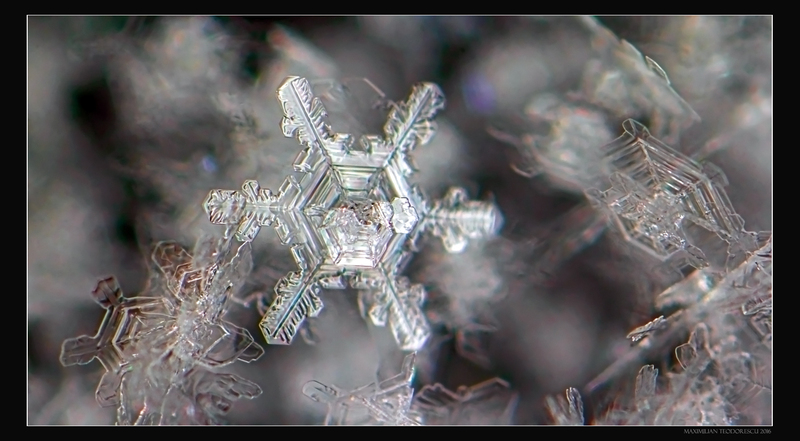 Some problems with the field-flattener lens and stacking issues (see the image below, left-side area), so I’ve ended up with a cropped and downsized image. The issues were resolved eventually, but for now this is the only shot using this setup. 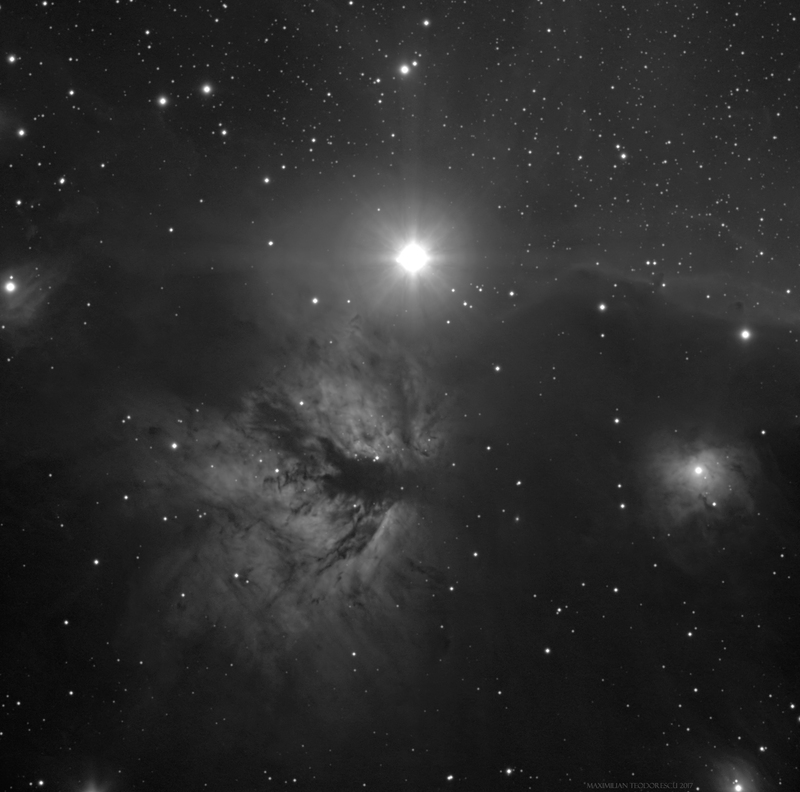 Since this image was acquired, I’ve also solved my guiding problems (using PHD and a 200mm F.L. finder scope with the ASI174MM camera), and test shots at 800mm FL with the ASI1600MM shot pinpoint stars at 5 minutes (with no binning). The following imaging sessions at Runcu Stone will produce some nice results I hope. 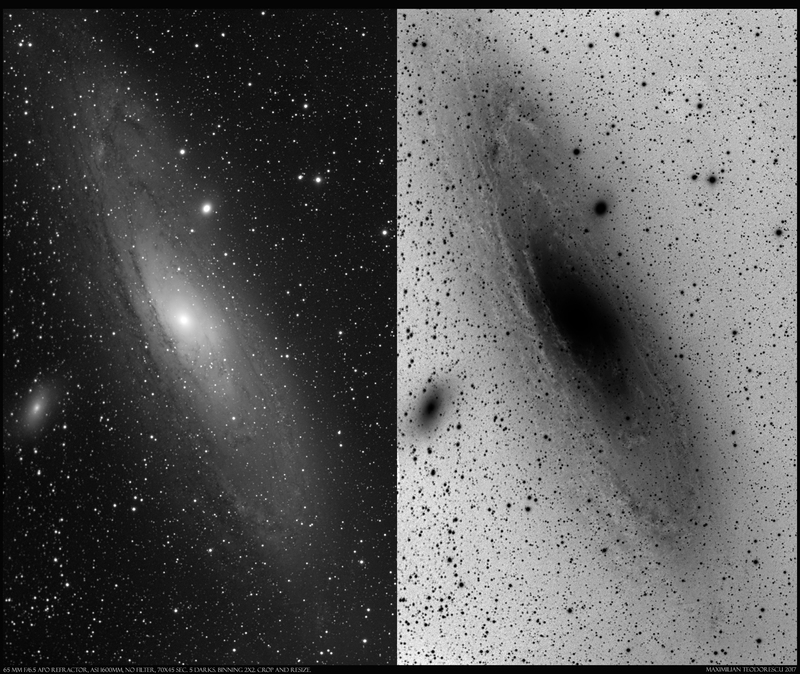 So the M 31 image, with an inverted view. I like the “black-hole” effect on the right hand image.